Your plants deserve a beautiful home, so we offer all types of specialty planters. Whether your taste runs to traditional, whimsical, functional, rustic, or modern, you’ll find a fitting home for your plants here. Think of your planters as functional works of art. 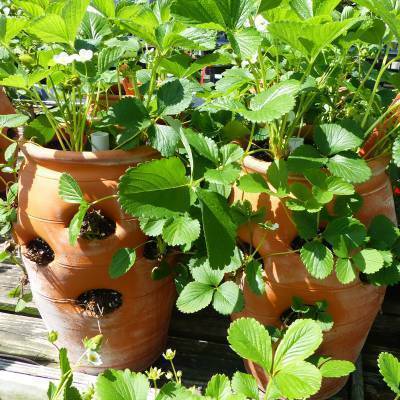 From gorgeous glazed pots, cast stone, and strawberry pots to basic terra cotta, we have all shapes and sizes. The right planter — whether it’s a series of window boxes or a stand-alone container — can transform your living space.